The Quintessential ticks all the boxes for quality, style and comfort. 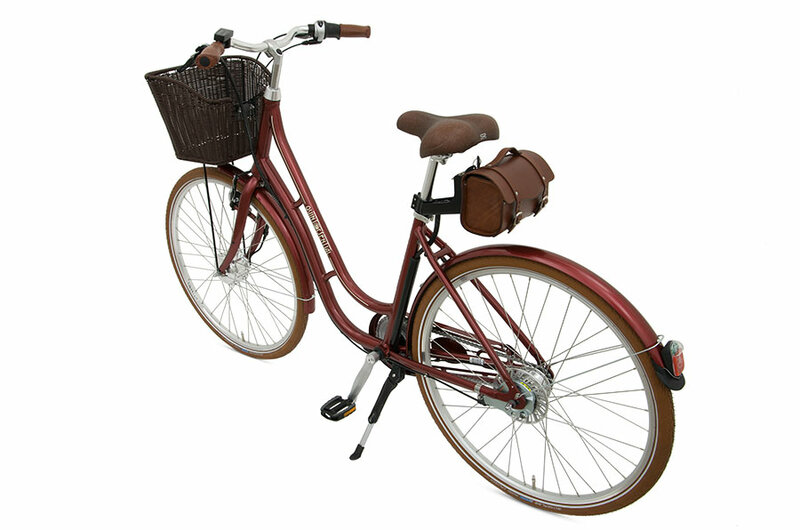 Tucking the battery into the saddlebag gives this bike a clean uncluttered look. 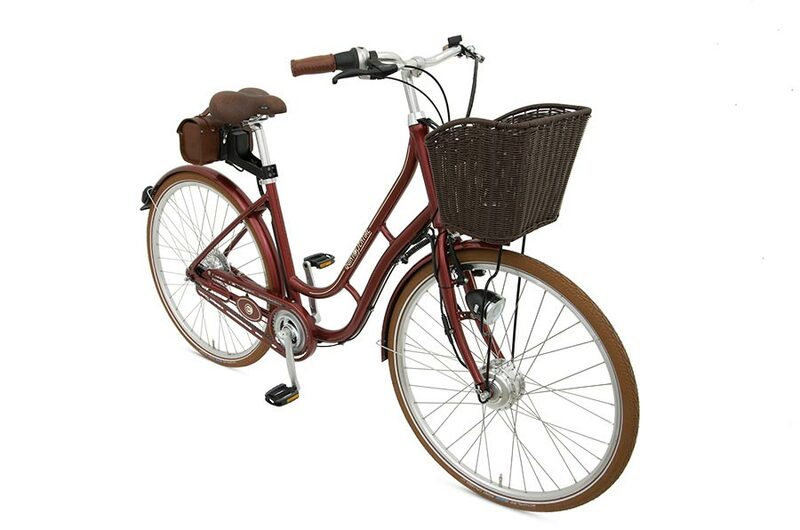 The addition of a front basket makes the bike practical as well as stylish. 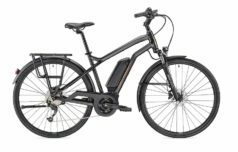 The quality of the European build is obvious throughout the bike and components have been carefully chosen to create a high specification electric bike that is easy to use. The Shimano Nexus 7 speed hub gears are easily selected with the RevoShift twist grip gear changer. 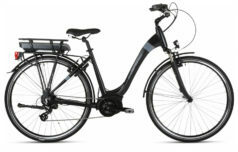 The Quintessential is a classic Dutch-style bike. 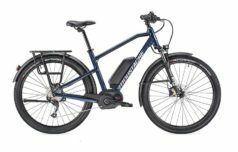 It’s great everyday electric bike for leisure or commuting. 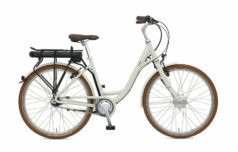 Its battery is hidden in a leather-look saddlebag which makes it very difficult to spot that this is actually an ebike! 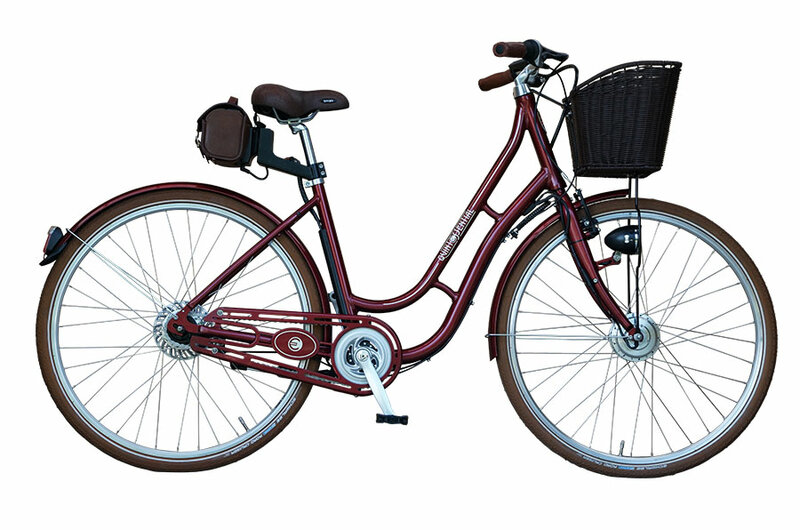 With basket, lights and mudguards fitted as standard it’s ready to go!